A study carried out by the University of Zurich in Switzerland, has found that unemployment has a part to play in 45,000 suicides globally every year; out of a total of 233,000 suicides in the countries studied. While the study was unable to prove that unemployment directly causes suicide, it did show a strong association between the two. The study found that unemployment related suicides were higher in countries where being out of work is more uncommon. Countries where being unemployed is stigmatised by the media also had higher unemployment related suicides; here in the UK there are regular media reports on a minority of people who are abusing the benefits system. While suicide generally tends to be higher in males, when it comes to suicides related to unemployment males and females are equally at risk. Interestingly, the study was carried out between 2000-2011 covering periods of economic grown and decline, as would be expected in times of economic downturn, suicide associated with unemployment rose; increasing by 4,983 per year between 2007 and 2009. The research concludes with several recommendations, key amongst these was giving extra training and support to professionals who deal with the unemployed, so they are more able to spot the warning signs and help prevent suicides. With this in mind the Meee programme employment strand has been created to support those who are unemployed for as long as they need it, not just the duration of the programme, we provide support through our Facebook page, via email and support phone service. 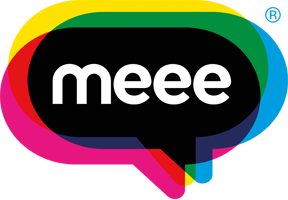 If you are an organisation working with vulnerable unemployed people and you’d like us to run a programme with you then we would love to have a chat, drop us an email at info@meee.global. "Education is the ability to listen to almost anything without losing your temper or your self-confidence"